Burned trucks a gang warning to town's cops? 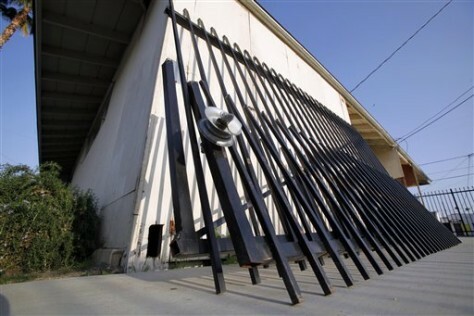 Attacks on police in Hemet, Calif, include an explosive device that was attached to this gate surrounding the headquarters of the Riverside County Gang Task Force. A police officer who set off the device as he opened the gate was not hurt.